Whether you need presentation space for a classroom, hallway or meeting room, Aarco boards are incredibly convenient. They come in a huge selection of shapes and sizes, so you can put them almost anywhere. When you are looking for a whiteboard, chalkboard, bulletin board or message board Hertz Furniture has what you need. With outdoor and indoor models, you can ensure that your message is heard loud and clear in any space. Aarco Products brings you high-quality boards at budget-friendly prices. 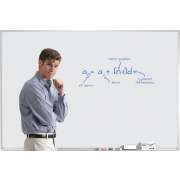 With the right dry erase boards and blackboards, you can keep classes, meetings or seminars clear and organized. Any company, institution or school can benefit from having some clear display space. Even when announcements are made and E-mails are sent to the whole mailing list, many people will forget about important events if they are not reminded. With bulletin boards in hallways, lobbies and outdoor areas, you can hang signs in places where people are sure to see them. 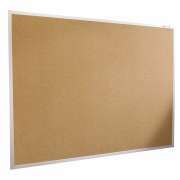 You can choose from a selection of vinyl and cork boards, both of which are easy to use. 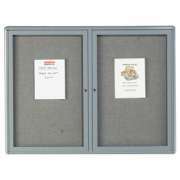 Simply staple or tack papers in place and they will remain visible to your target audience. Unlike cork, vinyl will not fade in the sunlight. If there is a concern that students might try to hang up unauthorized fliers, posters or announcements, enclosed bulletin boards with locking doors will ensure that only approved materials are displayed. 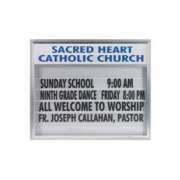 For a more organized and professional-style message space, try an indoor or outdoor message board. Letter boards are used with easy-to-read plastic letters that are lined up in neat rows to display any message. 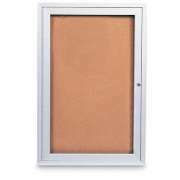 They are perfect for a busy street or other outdoor areas because they can be seen from far away. To ensure that the community stays informed and knows whose message is being presented, models can be purchased with the logo of any institution on top. Every classroom needs a blackboard or whiteboard. Each of these options has distinct advantages, and the right choice ultimately depends on which material an individual prefers. 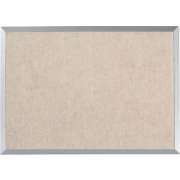 Wall-mounted boards remain in place so they are always ready for use when needed for class. Free-standing boards are convenient because they can be moved around so any space can be transformed into a functional classroom. They also offer the advantage of having two whole sides to write on. When one side is full of notes and information, the board can simply be flipped over and there is a whole new, clean writing space. 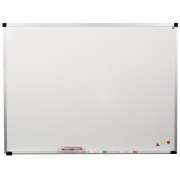 Dry erase boards come in a selection of materials. If you just need a space to write notes at the front of the conference room, a regular white board will do the job. However, if you want the ability to hang up papers and signs as well, a magnetic whiteboard is the way to go. 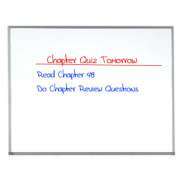 With this option, papers can be posted in a highly-visible space without damaging the surface of the board. In the modern era, more and more teachers and professionals are using audio visual equipment rather than relying solely on boards. When presenting a slideshow or clip in a class or meeting it is important to make sure that the images are displayed clearly. 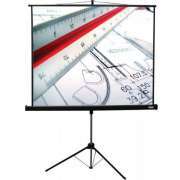 With a white projection screen, you can ensure that no marks on the wall or board will interfere with the presentation. 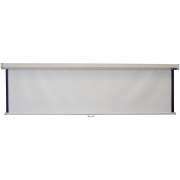 Motorized wall-mounted projector screens take up very little room when not in use and are easy to arrange when needed. In addition to having various boards and display spaces, Aarco also offers some convenient library furniture. Plastic literature racks offer a great place for magazines, pamphlets and brochures. 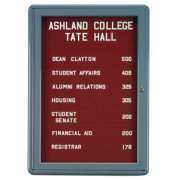 They can be mounted on the wall of a library, entryway or waiting room so clients and visitors can get all of the information they need. Whether you are promoting community events, offering special services, or simply supplying information, a brochure rack can always come in handy. Hertz Furniture is proud to present a great selection of office and school furniture from Aarco. With functional display and presentation spaces, information can be conveyed in a clear and organized way so everyone will stay informed. If you need help determining the optimal board size or surface material, contact the Hertz Design Center for free project-planning advice.